A perfect business keynote speaker is crucial to the overall success of your next event. A strong keynote speaker will not only draw larger crowds and increase attendance at your conference; they’ll set the tone of the entire event and leave the audience with a powerful, lasting impression that will bring them back year after year. When deciding upon a business keynote speaker, it’s important to choose candidates with a strong business background. Many keynote speakers are inspirational, providing motivating speeches that excite the crowd. But if pure motivation isn’t supported by real-world business experience, your keynote speech is sure to be forgotten as soon as the event is over. The best business keynote speakers are able to inspire and motivate by connecting tried and true business principles with fresh, forward-thinking ideas that are hyper-specific to your industry. Look for a speaker who has an eclectic business background and a wide range of speaking experiences that include large crowds and more intimate groups. Personality is also key when choosing a business keynote speaker. Choose a speaker who only focuses on inspiration and you’ll miss out on valuable business advice. Choose a speaker who’s all business and no heart, and your audience won’t connect with the speech on a personal level. A keynote speaker who is able to effortlessly combine practical business principles with passionate ideals is exactly what your event needs to make a lasting impression on your audience. 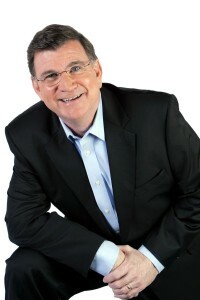 Mike Hourigan is a Business Keynote Speaker, Author and Consultant, who specializes in communications skills training, negotiation skills and customized sales meetings.